The effects of HIV are continuing to be felt on a global scale. Health officials say that young women are especially susceptible to the infection, which is bad news for their future offspring; recent statistics show that 45% of HIV-infected women will transmit the virus to their young, usually via breastfeeding. Those numbers become worrying when you consider that 1.5 million women with HIV will become pregnant this year. In order to counteract this dangerous epidemic, researchers at the University of North Carolina at Chapel Hill have been hard at work creating a new HIV medication. Its clinical name is 4’-Ethynyl-2-fluoro-2’deoxyadenosine, or EFdA. Early pre-clinical trials using animal models have yielded some positive results, and those working on the project believe that EFdA could prevent vaginal and oral transmission of HIV, a potentially huge development for the medical community. “We discovered that EFdA can prevent vaginal transmission of HIV, which would prevent new infections in women. In addition, we were also able to show that EFda can prevent oral transmission of HIV which would prevent infants who are born to mothers already living with HIV from acquiring the virus during breastfeeding,” said lead author Dr. Martina Kovarova. Kovarova and her colleagues began testing EFdA on mouse models under two different trials. For both cases, a daily dose of the medication was able to prevent HIV from developing, despite multiple exposures to high doses of the infection. The researchers say that these results are very encouraging. The next phase of testing will attempt to find correct doses of EFdA to see if it can be made more effective. In particular, Kovarova says that she and her team will try to find how long the medication can stay effective so that less frequent doses need to be taken. The development of EFdA could have a huge global impact, especially in underdeveloped nations without much access to modern medicine. 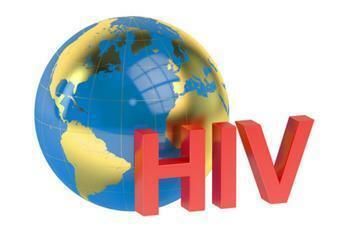 “The majority of new HIV infections in women and children occur in developing countries with limited resources. The availability of an anti-HIV drug that is potent enough to be used as a preventative agent in both women and infants has the potential to make a significant impact on the global HIV epidemic,” said senior author Dr. Angela Wahl. The full study has been published in the Journal of Antimicrobial Chemotherapy.